Alaska has quickly become the favorite fishing spot in the United States. It is riddled with rivers, various kinds of fish such as Coho, King and the famous Silver salmon as well as trout and various other fish. There are basically endless choices for fishermen here, all making a fantastic “catch of the day”, and it’s one of the many reasons Alaska continues to be one of the most popular destinations for outdoor recreational activities. Year after year people from all over the world travel to Alaska in order to enjoy the magnificent surroundings, check out the wildlife, fish, and bottom line, get the most out of their vacations. You’ll be certain to catch all the fish you could possible want when you visit Alaska and its scenic and almost mystical atmosphere provides the perfect backdrop. A new favorite vacation destination for fishermen is the Nushagak River. The Nushagak River and its huge supply of King salmon is a fantastic place to visit during the summer months. There are over 200,000 King salmon said to be in the area and they can weight more than 50 pounds! Nushagak also is full of other fish varieties such as the Sockeye, Chum and Silver salmon, rainbow trout, northern pikes and other fish that travel through the Nushagak River. The Nushagak River has started to limit the number of people out on the banks so it is important that you plan your trip ahead. If you get one of the slots you can expect an average of around 30 Kings per boat each day and often people will approach 50 catches before heading in for the evening. Nushagak is not only a lucrative spot to go fishing because of the sheer amount of fish and their variety, but also because there are so many different accommodations nearby. If you need a place to stay in the area there’s plenty to choose from and if you need to load up on bait you’ll have more than you need available close by. 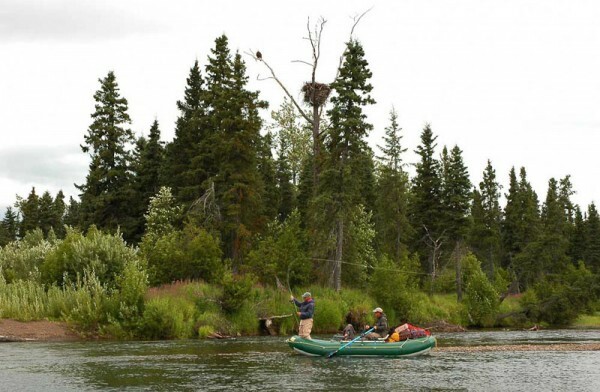 Alaska is a great place visit for just about any outdoor activity but you won’t find a better please in the state that offers better fishing opportunities, and Nushagak River is one of the best places in the entire state to test your skills. Nowhere else will you find such large King salmon, and such an ample variety of fish. 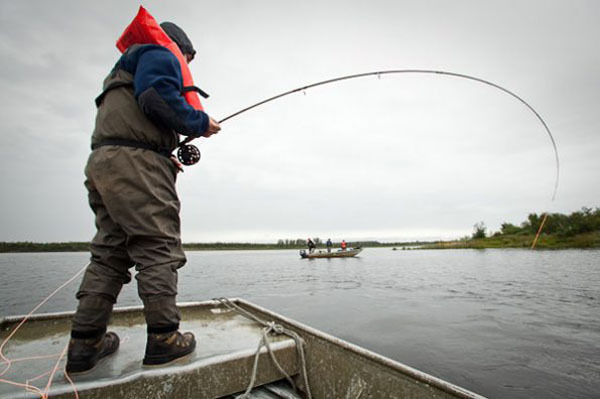 Next time you are planning a fishing trip, plan ahead and experience for yourself just how great the Nushagak River and its plentiful bounty are. This entry was posted in Featured, Interesting and tagged Alaska, Fishing, Nushagak, River, Travel. Bookmark the permalink.